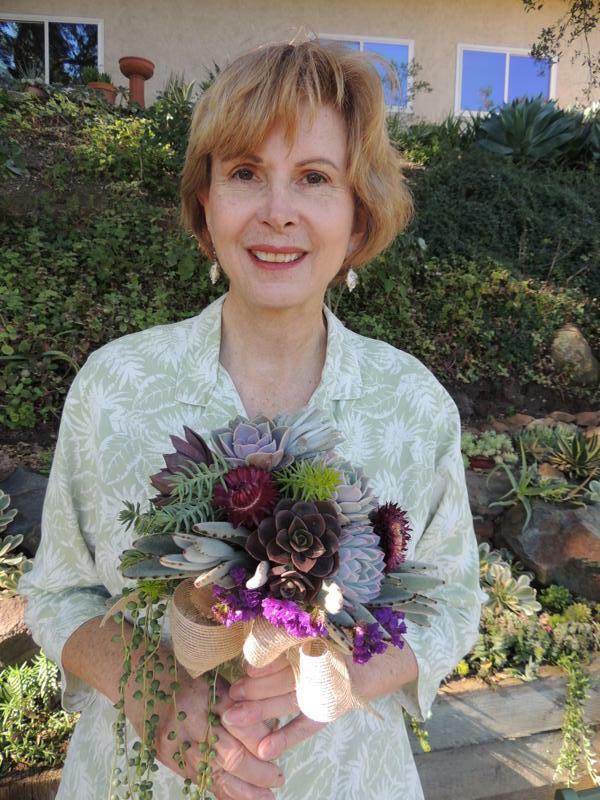 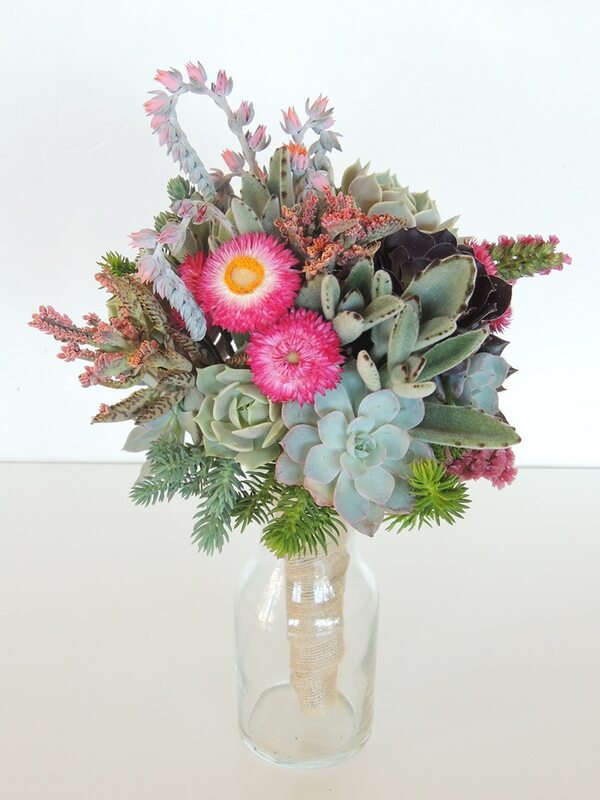 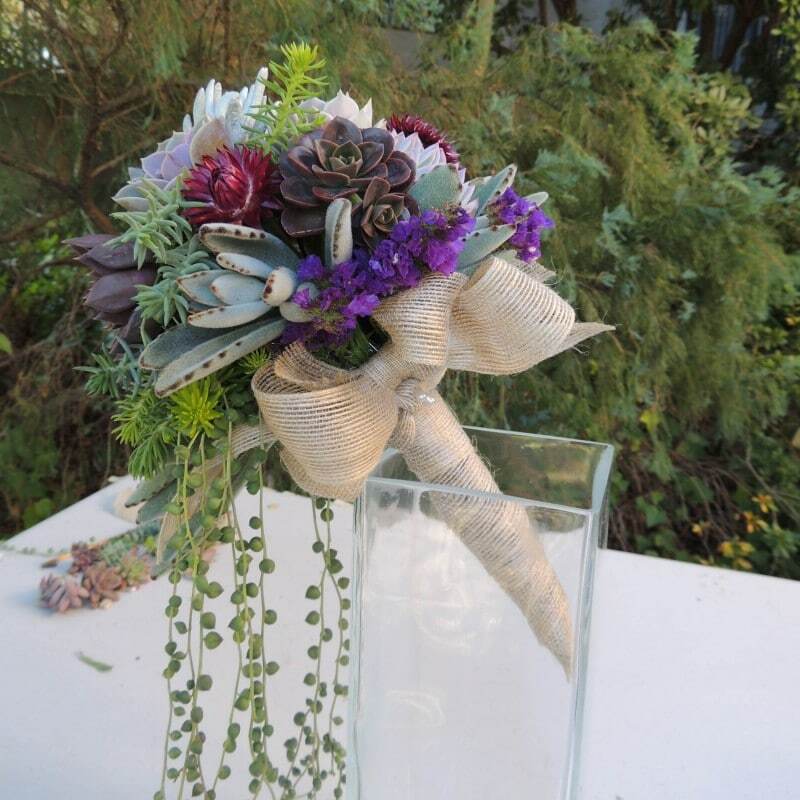 Succulent bouquet with kalonchoe tomentosa and senecio rowleyanus or strands of pearls. 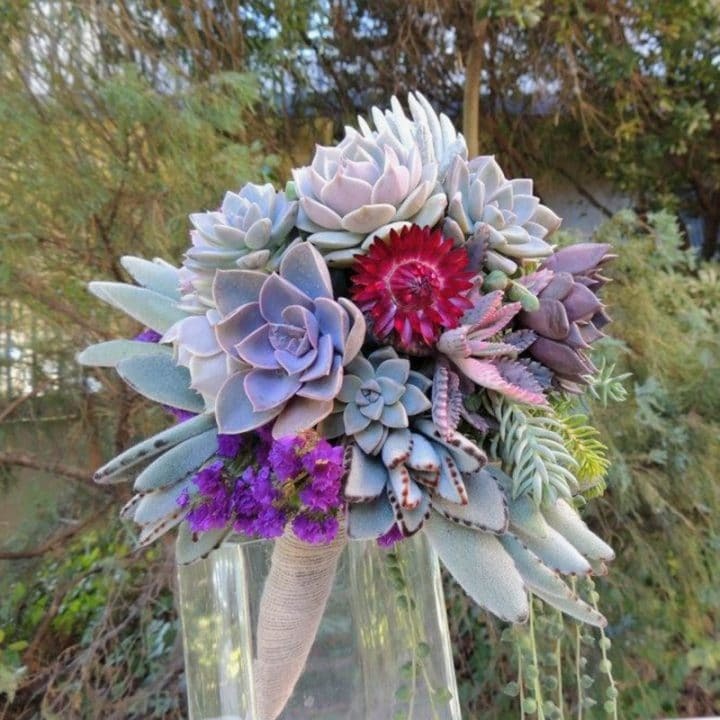 Succulent Bouquet-Mauve echeveria “Melaco”, echeveria black prince , perle von nurnberg, kalonchoe tomentosa accented with purple statice and straw flowers-Xerochrysum bracteatum. 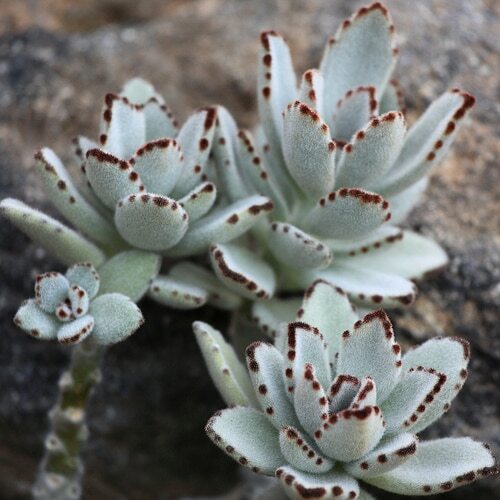 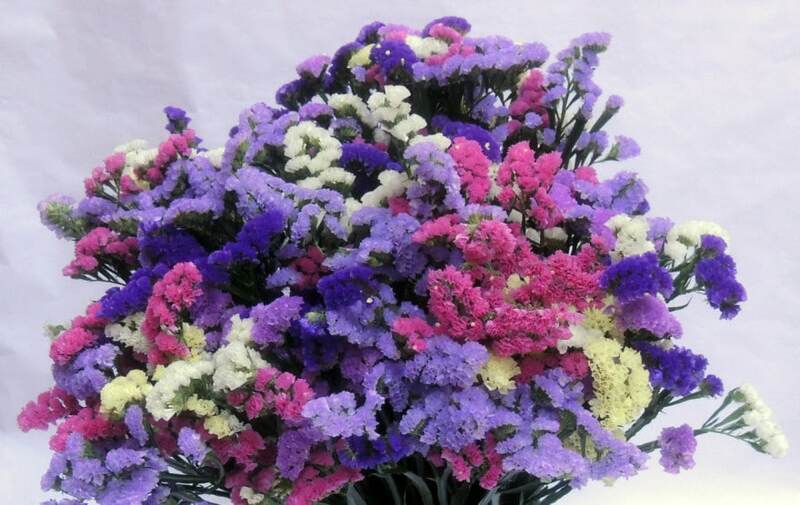 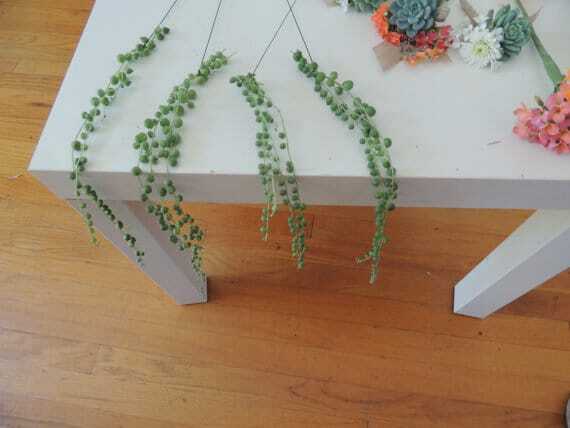 This bouquet features senecio rowleyanus or strands of pearls.